Bainbridge Island, Washington, USA; Waterfront Park, 400x, DIC. 18 Apr 2011. Karl Bruun. © Karl Bruun. Published in: Gran, H.H. (1897). Protophyta: Diatomaceae, Silicoflagellata und Cilioflagellata. Den Norske Nordhavs Exped. 1876-1878 24: 1-36 [38-50?]. Type locality: Peru: guano (Silva 1996-to date). Noun (Greek), crown, royal circlet, headband, diadem (Brown 1956). Cleve, P.T. (1897). A treatise on the phytoplankton of the Atlantic and its tributaries and on the periodical change of the plankton of Skagerak. pp. 1-28. Upsala: Upsala Nya Tidnings Aktiebolags Tryckeri. Accesses: This record has been accessed by users 6702 times since it was created. French, F.W., III & Hargraves, P.E. (1985). 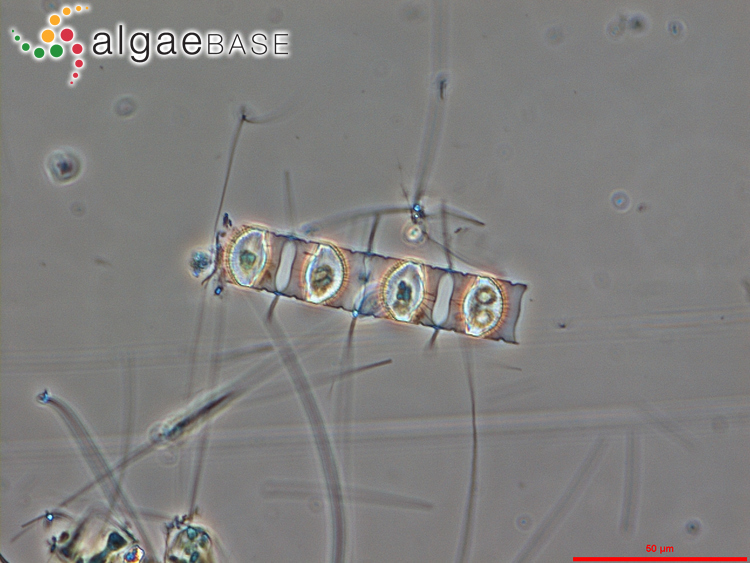 Spore formation in the life cycles of the diatoms Chaetoceros diadema and Leptocylindrus danicus. Journal of Phycology 21: 477-483, 5 figs. Hargraves, P.E. (1972). 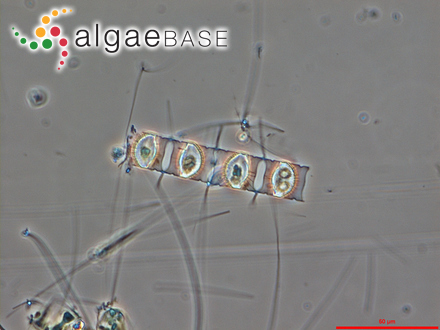 Studies on the marine plankton diatoms. I. Chaetoceros diadema (Ehr.) Gran: life cycle, structural morphology, and regional distribution. Phycologia 11: 247-258, 14 figs, 1 table.